Cook baby turnips in vegetable stock & miso medium heat until tender, stir through the butter to create a nice thick sauce & set aside. Cut mushrooms in 1/2 lengthwise, toss them in a bit of olive oil & chargrill. Season with salt & pepper then toss together with the tatsoi leaves. 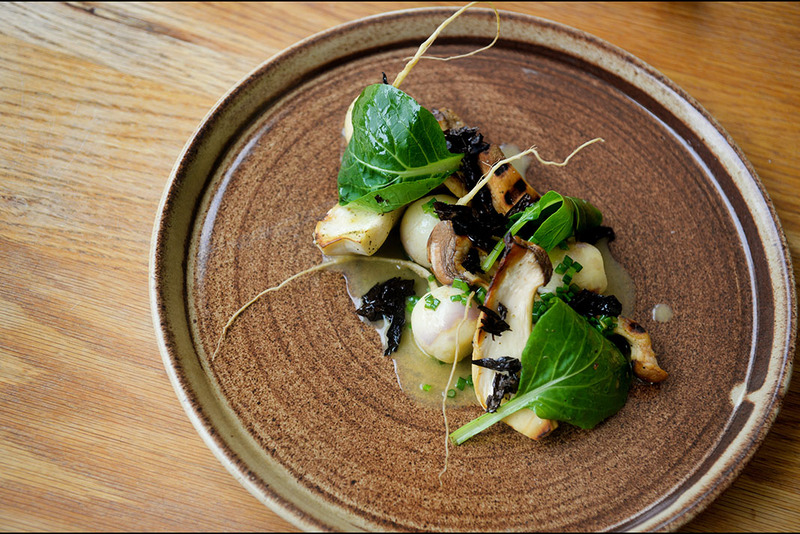 In a large bowl arrange the turnips & miso sauce, top with the mushrooms & tatsoi leaves & garnish with nori.